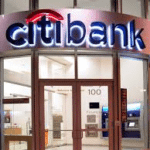 Claim "Citibank Nigeria Limited. 27, Kofo Abayomi Street, Charles S. Sankey House, Victoria Island, Eti Osa, Lagos, Nigeria"
Have you been at CITIBANK NIGERIA LIMITED ? Write a review today!!! Citibank Nigeria works tirelessly to serve individuals, communities, institutions and nations. With 200 years of experience meeting the world’s toughest challenges and seizing its greatest opportunities, Citibank Nigeria strive to create the best outcomes for our clients and customers with financial solutions that are simple, creative and responsible. Despite the growing environmental and business challenges, Citi continues to focus on competitively creating value and providing efficient service delivery to our clients while maintaining a robust risk and control environment. We consistently assist our clients by creating innovative solutions, which are mostly the first-of-their-kind landmark structures in the market, to resolve their banking needs. We bring our global expertise, coupled with our in-depth knowledge of the local market, to provide appropriate banking solutions. Citi has welcomed the recent regulatory improvements initiated by the Central Bank of Nigeria as they have brought local banking standards closer to international best practices. A more transparent and rigorous regulatory regime ensures a level playing field for all market operators, something we have long advocated for. We have taken the lead in implementing several of the recent regulatory reforms and have worked hard to build overall industry capacity in this regard. At Citi, we also help our local clients strategically, towards their adoption of best practices in their corporate governance standards.